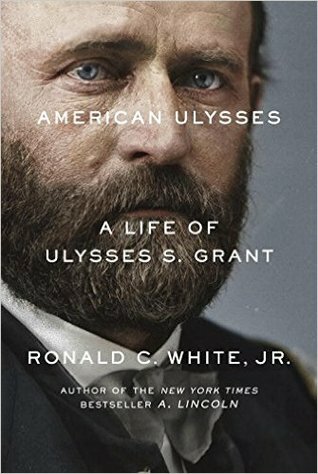 Ronald White’s “American Ulysses: A Life of Ulysses S. Grant” was published in 2016, two years after I spent eight weeks reading six other biographies of Grant. White is a well-known historian and the author of nine books (including one of my favorites on Abraham Lincoln). He is currently working on “Abraham Lincoln’s Diary” which is a collection of notes and reflections left behind by Lincoln (due out in 2020) and a biography of Joshua Lawrence Chamberlain (due in 2021). There is no shortage of compelling biographies of Ulysses Grant – at least eight have been published in the last two decades alone. But ever since I completed my initial round of reading on Grant (in late 2014) I’ve been looking forward to reading this biography of the 18th president. Based on my experience reading White’s “A. Lincoln: A Biography” I had high expectations for “American Ulysses.” But while it is undeniably good…it’s not quite great. 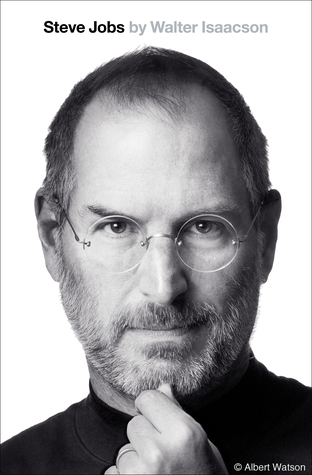 Most readers will find this 659-page biography (not including 100+ pages of notes and bibliography) to be articulate, engaging and generally well-paced. One-fifth of the book is devoted to his early life, just under half the book focuses on his Civil War service and another one-fifth covers his presidency. The remainder is divided between the years just prior to, and those following, his presidency. The best feature of this biography may be its extensive collection of maps, charts and pictures. These add invaluable context and detail and cover a wide variety of topics – from summaries of specific Civil War campaigns to an excellent diagram illustrating Grant’s extensive post-presidential world tour. White also sprinkles the narrative with countless interesting tidbits, occasionally drawing connections between people where I never imagined they existed. And while his coverage of Grant’s role in the Civil War is not as shrewd or engaging as I would have liked, his description of the Siege of Vicksburg was gripping and the pages describing Grant’s early days as a newly-promoted Lieutenant General are excellent. White is the first biographer afforded access to the entire collection of “The Papers of Ulysses S. Grant” and his research included a close examination of correspondence between Grant and his wife. Nevertheless, the narrative is almost entirely familiar – though told with White’s own literary voice – and little seems new or revelatory. As has been the trend in recent decades, Grant’s image continues to undergo a positive reassessment in White’s biography. Grant’s rumored alcoholism is de-emphasized, his intellectual capacity (and appetite for reading) is highlighted, and his uncommonly courageous commitment to the rights of African-Americans and native Americans is underscored. Yet notably missing is any concerted effort to really understand Grant’s persona. White makes occasional (but often keen) observations about his personality, including his tendency toward introversion and his clear preference for communicating by letter, but the reader is left to posit the complete portrait of this enigmatic character. His wife and children also remain noticeably elusive. More disappointing to me is that the biography presents no grand thesis or overarching themes and often seems to be more a collection of revealing morsels and engaging short stories than a continuous, purposeful narrative. And Grant’s presidency is covered in too cursory a manner, failing to fully penetrate many issues or to provide a sweeping assessment of his political legacy. Overall, Ronald C. White’s “American Ulysses” is a solid but not exceptional examination of the life of Ulysses S. Grant. For readers who are new to the 18th president, this biography will unquestionably provide a suitable, comprehensive introduction to his life. But for anyone who has already navigated Grant’s life, there is probably not enough new insight or analysis to make “American Ulysses” a truly compelling read. Huh. I really loved this one. White is generally my “go to” for anyone in the 19thC. Did Chernow or anyone else do a better job on the presidency? I read this one a year or two ago and enjoyed it, but it didn’t stick with me the way Smith and Chernow’s bios did. Apparently, even the Grant revisionism of recent years hasn’t changed the tendency to focus on the Civil War years over his presidency (the main asset of Chernow’s book is that the presidential years receive roughly equal time to Grant’s military exploits). What struck me most about this biography was seeing how incredibly strong its ratings are (on a popular book ratings site). It just didn’t “stick with me” with that kind of force either and, admittedly, that might be partly due to the fact that I enjoyed White’s biography of Lincoln more and I’m not sure his biography of Grant really fills any meaningful void. I’m still looking forward to Chernow’s given what I’ve seen of his writing style and suggestions that his presidency is treated more in-depth. I have no need to read any other biography of Grant after reading Chernow’s book. That’s a pity in one regard because I enjoy reading works by good/great writers but Mr. Chernow is at the top of the biography pyramid. There is only only way to go. Chernow’s Grant was my first foray into presidential biographies and I’m glad I started there. He created one of the most comprehensive pictures I could have asked for from a president/general I admire.